It's About TV: Robert Osborne, R.I.P. I've written in the past about the big-game sports announcers, the ones who made you stop what you were doing and listen, because you knew if they were calling a game it had to be a big one. Well, Robert Osborne was able to accomplish the same thing with movies – if he was introducing it, you knew it was a classic. Robert Osborne wasn’t part of classic television, at least not in the way we might think of it, but he was able to turn classic movies into classic television, thanks to TCM. He was nothing if not authoritative; it’s hard to believe there was anything he didn’t know about the movies he showed, and he probably knew a lot about the ones he didn’t show. And his smooth, warm voice was just what you needed if you were settling down to watch Clark Gable or Humphrey Bogart or Katharine Hepburn. Many of the obits referred to him as “genial,” and that’s probably as good a word as any to describe him. He didn’t lecture us from some faraway studio – it was as if he was right there in the living room with us, having a friendly conversation peppered with “did you know” tidbits that he took pleasure in telling. (His knowledge of the industry and its history wasn’t something to brag about, but something to share, to enhance our viewing experience just a little more.) He gently led people to movies they wouldn't otherwise have been interested in, just because of what he said. His appeal knew no age group; he even made black-and-white hip, and couldn't we have used him to do that with classic television as well. Some people might say that there are more important things to master than a knowledge of movies, but I’m not sure about that at all. For one thing, movies – like television – tell a story beyond that portrayed on the screen. They tell us about the times in which they were made, the people who wrote, directed and acted in them, and the people who watched them when they were released*. In short, movies tell us about us, and few people were better at articulating that than Robert Osborne. He lacked the defensiveness and abrasiveness that epitomize many movie critics, because he wasn’t a critic. He was a fan, like the rest of us, and in that sense he might have had the best job in the world, because he got the chance to share his passion with others: those who shared it as well, and those to whom he might be able to introduce something new and exciting, something that would change their lives in a small but sure way. *If a movie was a hit, that tells us something about ourselves. If it wasn’t a hit, that says something as well. For a long time he was the sole voice of TCM, and even after he was joined by Ben Mankiewicz and others, he remained the king of the hill, top of the heap. Not that they weren’t good (though they weren't as good), not that they didn’t know what they were talking about (though they never seemed to know quite as much as he did), but they had to prove themselves, and even if they succeeded, they still couldn’t lay claim to being the definitive host – they weren’t Robert Osborne. He died on Monday, at the age of 84. It wasn’t a terrible surprise; he’d seemed to be fading in the last few years, and his appearances on TCM became less and less frequent. Like the movies he loved, though, his work will stand the test of time, and he’ll be fondly remembered by those who’d watched with him since 1994. He may not have been the star of the show, but Robert Osborne shared one thing with the movies he presented: they were both classics. I will miss Robert Osbourne. I hope TCM continues with Mr. Mankiewicz and others to keep alive the times of "classic" films all of us have come to love. What a great tribute. 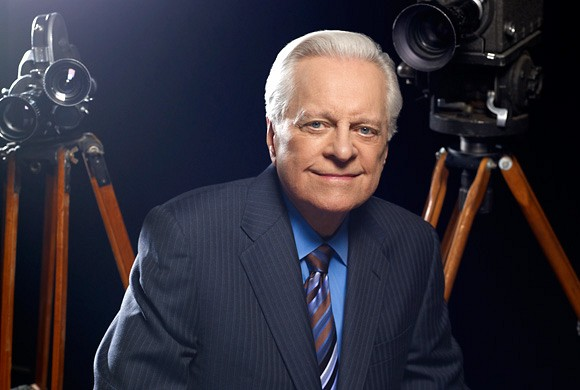 Robert Osborne on TCM was a bright beacon of light on the empty sea that is modern television. For someone like me, who craves to know everything about a film or television series, Osborne's introductions and afterwords were something special, especially now, when it seems as though hosts of anything other than game shows are a thing of the past. Osborne was the great educator for film buffs and it really did feel like he was in your living room watching the film with you. It was something special and it likely won't happen again. I enjoyed when he would front a movie as great as "To Kill a Mockingbird" but particularly when he would introduce me (there's that connection to the viewer) to a movie such as "Gun Crazy" with Drew Barrymore as a co-host. All of the times I listened to Robert Osborne on TCM I said to myself, he's probably as nice of a man in person as he appears on television, and I'm sure I was right. He certainly was knowledgeable about classic films and the stars who appeared in them, and he will be missed.